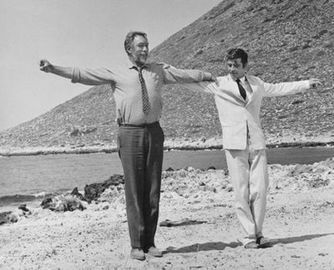 Though often at odds in the past, Greece and Turkey share a bond revealed not only in food or language but also in music celebrated on both sides of the Aegean Sea. Turks and Greeks have preserved many similarities when it comes to music, from style to instruments and lyrics. Cooperation between Turkish and Greek singers has been a stalwart and singers and musicians from both countries are known on both sides of the Aegean Sea. Ömer Faruk Tekbilek, a Turkish multi-instrumentalist and composer who has worked with Greek musicians in the past, performed in Athens in June while a concert on the island of Lesbos showcased dervishes of the Mevlevi Order of Konya. Asia Minor and Istanbul music – the kind played by motley bands featuring violins, lyres, and other stringed instruments such as baglamas, outis, saz, santouris, bouzoukis and clarinets – are especially prevalent in both countries. 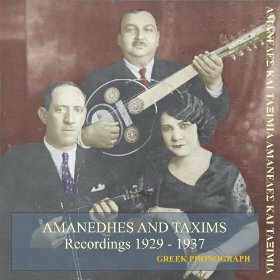 “The songs found in both musical traditions mainly come from the region of Marmara and they are popular folk songs with lyrics in both languages, some of which were recorded in Greece from the late 1920s until the Second World War,” according to Nikos Andrikos, from the musicology department of Ionian University and research associate at the Technological Educational Institute of Traditional Music in Arta. I’ve spent several years trying to define and or describe Turkey and its people on this blog – and now I feel I’m ready to tackle one of the world’s really big questions. What is this ‘democracy’ thing that people keep talking about? William J Clinton to the contrary, it was the USA’s 16th President Abraham Lincoln, in his Gettysburg Address of 1863, who asserted that 750,000 of his citizens would die in the Civil War ‘that government of the people, by the people for the people shall not perish from the earth.’ Well, he didn’t know the exact figure at that stage, of course, but he must have known it would be a lot. He was, we assume, expressing his support for a democratic system of government, despite the fact that the vast bulk of the US population in those days was not eligible to cast a vote. Lambs to the slaughter – so what’s changed? The word ‘democracy’ has a long history, yet as a concept, it has only relatively recently become widely accepted as a desirable goal, and among political leaders, tends to be more honoured in the breach than the observance. Encyclopedia entries and tourist brochures describing the modern nation of Greece often refer to that land as the cradle of democracy. 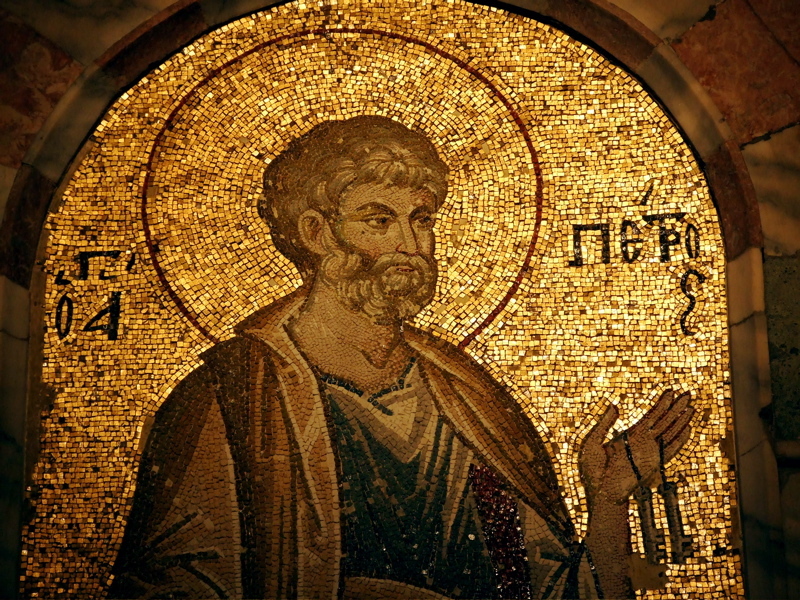 In truth, however, the much vaunted Athenian system of Cleisthenes lasted a mere two hundred years, more than two and a half millennia ago – and at best allowed for the participation of perhaps twenty percent of the population. Subsequently, there was not even self-government in that small corner of the Mediterranean until the 19th century when the Great Powers of Europe wrested it from the Ottoman Empire. Even then, self-government is a misleading term, given that said Great Powers installed, first a German, then a Danish Prince on the throne of the kingdom they had created. The foreign-imposed monarchy lasted, on and off, until 1967 when it was finally deposed by a military coup, whose generals ruled the country with an iron fist until 1974. So it seems democracy as a political system has an uncertain, questionable pedigree at best. Still, it’s a worthy aim, for all that. However, you can understand that some might view it with cynicism. Check any collection of quotationson the subject: ‘The best argument against democracy is a five-minute conversation with the average voter.‘ (Winston Churchill); ‘The difference between a democracy and a dictatorship is that in a democracy you vote first and take orders later; in a dictatorship you don’t have to waste your time voting.’ (Charles Bukowski). Apart from the cynics, much of the other wisdom has to do with the fragility of the concept when put into practice, and its vulnerability to abuse and manipulation: ‘Democracy cannot succeed unless those who express their choice are prepared to choose wisely. The real safeguard of democracy, therefore, is education.’ (Franklin D. Roosevelt); ‘A healthy democracy requires a decent society; it requires that we are honorable, generous, tolerant and respectful.’ (Charles W. Pickering). Education of the masses is seen as an indispensable component, as is constant vigilance, by which we may understand, an effective system of checks and balances – not to mention a need for honest folks in high places, and probably compulsory polygraph testing for lying and hypocrisy, especially in the case of high court judges. The big problem is that in any country or institution, the ruling elite is always understandably reluctant to surrender its grasp on power. As they are forced to give up concessions to populist reformers – abolition of slavery, universal suffrage (especially for the non-wealthy, and for women), an open press, the secret ballot, objective supervision of vote-counting and so on – they are obliged to find more subtle ways of ensuring that votes cast do not unduly hamper their pursuit of riches and power. One such method is the sophisticated, expensive and lucrative system of political lobbying. According to Wikipedia: ‘Wall Street lobbyists and the financial industry spent upwards of $100 million in one year to “court regulators and lawmakers”, particularly since they were “finalizing new regulations for lending, trading and debit card fees.” . . . Big banks were “prolific spenders” on lobbying; JPMorgan Chase has an in-house team of lobbyists who spent $3.3 million in 2010; the American Bankers Associationspent $4.6 million on lobbying; an organization representing 100 of the nation’s largest financial firms called the Financial Services Roundtable spent heavily as well. A trade group representing Hedge Funds spent more than $1 million in one quarter trying to influence the government about financial regulations, including an effort to try to change a rule that might demand greater disclosure requirements for funds.’ Given this level of expenditure, what would you say are the chances of persuading Congress that Wall St needs a little more regulating? Another method of circumventing the democratic process is the creation of ‘flexible’ labour markets – which essentially means the removal of manufacturing and service industries from countries with high labour costs (read ‘a reasonable standard of living for all’) to poor countries where workers can be exploited for wretchedly low wages and conditions. A useful side benefit of this ‘flexibility’ is a level of ‘structural’ unemployment in the original country such that those who do have jobs can be frightened into accepting lower pay and reduced conditions. Parallel to this ‘flexible labour market’ runs the establishment of a senior management elite with the power to remunerate themselves beyond King Croesus’s wildest dreams for their achievements in reducing costs and maximizing profits for their companies. Since most of their work force is either employed for slave-labour wages in distant third world lands, or too frightened and de-unionised to complain, and the unemployed, on the whole, don’t have a voice, we don’t hear a lot of criticism. There have, admittedly, been protests in France over the salary package of Renault-Nissan CEO Carlos Ghosn, though even the French government couldn’t convince him it was excessive. Reutersreported recently that, ‘Ghosn earned 2.79 million euros from Renault in 2011 and 9.92 million from Nissan in its corresponding financial year, making him one of the highest-paid CEOs in France or Japan.’ In the same article, it was noted that, ‘Renault is cutting 7,500 jobs over three years . . . and is demanding union concessions on pay, flexibility and working hours in return for guarantees to keep French plants open.’ Interestingly, my Turkish dailyreported the other day that Mr Ghosn had agreed to a 30% cut in salary if workers in Turkey’s Renault plant accepted the company’s new contract. Nice to see the developing world fighting back! Still, it must be comforting to know that you can take a 30% cut and still make 9.6 million euros for a year’s work, if work is what the gentleman in question actually does. It seems, for the most part, that corporate CEOs can pretty much do what they like, especially those in the financial sector, who don’t have to worry about uppity union representatives from the factory floor. Nevertheless, you can’t be absolutely sure some bleeding heart President isn’t going to get nervous about the effect all this is having on the morale of the nation as a whole, and start trying to change things. Lobbying alone may not be sufficient. Political campaign funding is a tried and tested means of buying the support of the people’s elected representatives. A recent phenomenon, or at least one that has recently been brought to light, is known as “dark money”. What we have here is wealthy individuals hiding behind seemingly public-spirited organizations donating large sums to politicians’ election campaigns. Huffington Post gives some examples: ‘The Karl Rove-founded Crossroads GPS, the Koch brothers’ Americans for Prosperity, Grover Norquist’s Americans for Tax Reform, the shadowy American Future Fund, and the U.S. Chamber of Commerce have spent $295 million since the beginning of 2011, targeting candidates from President Barack Obama on down to the most contested House and Senate races, all without disclosing the names of their donors to the public. ‘These groups are organized as either social welfare nonprofits under section 501(c)(4) of the tax code or, in the case of the Chamber of Commerce, as a trade association under section 501(c)(6). Since these groups qualify for tax-exempt status, they are also exempt from disclosing their donors, which political committees are required to do. ‘Clear examples of deception fill websites, appear on nightly newscasts and run on the front pages of newspapers. But the truth squads have had only marginal success in changing the behavior of the campaigns and almost no impact on the outside groups that peddle unvarnished falsehoods with even less accountability. “We’re not going to let our campaign be dictated by fact checkers,” explained Neil Newhouse, Romney’s pollster, echoing his industry’s conventional wisdom.’ Clearly both political party machines are happy to play fast and loose with the truth, secure in the knowledge that the system is stacked against accountability. In consequence, voter turnout in US Presidential elections seems to reflect a lack of belief in the electoral system. It is estimated that 57.5% of eligible voters turned out at the polls in 2012. Mitt Romney was ridiculed and lambasted for stating that 47% of voters would vote for Obama no matter what, so he didn’t have to worry about them. In fact, 43% of US voters, approximately 93 million citizens, have been so effectively cut out of the democratic process that neither party needs to think about them. Which brings me to my next point in the sorry tale of exemplary democracy. Does anyone really understand how representatives are sent to the US Congress and Senate, and how a President is elected? And if they do, can they explain to what extent the results actually reflect the wishes of US voters? The current system for electing a US President was designed by the founding fathers at the birth of the Republic, allegedly to guard against potential evils, one of which was the dominance of party politics. In fact, the same two parties have been taking turns to screw the country for the past 160 years, the ‘Democrats’ since 1832, and the Republicans since 1854. Interestingly, at the time of Abraham Lincoln’s Civil War, the Democrats were actually the pro-slavery party – another bend sinister on the ancestral escutcheon of democracy. Former First Lady Hillary Clinton is said to have told the European Parliament in 2009, ‘I never understood multi-party democracy. It’s hard enough with two parties.’ If Madame Clinton actually did utter those words, and if they truly reflect her opinion, you’d have to wonder whether she has the mental equipment to cast a responsible vote, never mind carry out the duties of Secretary of State or, God forbid, President of the most powerful nation on Earth! For Mrs Clinton’s information, the majority of the world’s democratic states employ a proportional representation electoral system which allows for the presence in their legislative assemblies of several political parties – and most of those countries have a higher turnout at the polls than the USA. Not surprising when you remember that the media were telling us prior to the 2012 election that, if you didn’t live in Florida, Pennsylvania, Michigan, North Carolina, Virginia, Wisconsin, Colorado, Iowa, Ohio, Nevada or New Hampshire, you might as well stay home for all the difference your vote would make to the final result. One of the things that have impressed me about Turkey in recent years is the capacity for change within the system. When I first came to this country in 1995, the AK Party currently in power did not exist. Now, none of the parties involved in government at that time can manage a single representative in parliament. Very likely, Mrs Clinton would struggle in such an environment. She wouldn’t know which lobbyists to listen to, or which unaffiliated public interest group to accept campaign funds from – or even which party to join. The Turkish system may be tough on politicians, financiers and retired army generals, but it does keep Turkish voters interested. And I suspect a good number of those 93 million non-voting Americans would make more effort if there were a little more choice on their voting papers. Undoubtedly there are social and economic problems in Turkey. The education system is desperately in need of serious expert attention, for instance, and the gulf between rich and poor is unacceptably high. On the other hand, the nation has so far avoided the worst effects of the world financial crisis that has battered its European neighbours Greece, Italy, Spain, Portugal, Ireland and even the UK. The home of modern democracy seems to have silenced its discontented poor for the time being, but tens of thousands have been taking to the streets regularly in the PIIGS nations in recent months to protest their governments’ imposed ‘austerity’ measures. ‘Austerity’, needless to say, is generally understood to mean reducing pensions and social welfare benefits for the retired and unemployed, cutting back the public sector workforce, and reducing spending on education and public health. Little in the way of belt-tightening is required from the banking and finance sectors – Irish banks, for example, have reportedlyreceived 64 billion euros in government handouts to keep them solvent. Furthermore, those government handouts are funded from tax paid by the diminishing pool of wage and salary earners, or more likely, given their indebtedness, by government borrowing from banks. In the mean time, the UK parliament has published a report announcing plans to try and collect billions of pounds in tax from US multinational corporations such as Starbucks, Google and Amazon, who use a technique referred to as ‘profit-shifting’ to pretty much avoid paying any tax at all. The New York Times reported the other day that, ‘Starbucks said . . . that it was reviewing its British tax practices after the company disclosed recently that it had paid no corporate tax in Britain last year despite generating £398 million in sales.’ Unfortunately, the article goes on to say, the British Government expects that their campaign to extract a little internal revenue from these sources will cost them at least £77 million. Still, the British taxpayer has got it soft compared to his or her American counterpart. According to a recent article in Time, the Pentagon is splashing out $400 billion dollars to purchase 2,457 Lockheed F-35 fighters that are apparently starting to show many of the attributes of a white elephant. At approximately $160 million each, the single-seat warplane costs about the same as a 204-seater Boeing 767. I don’t remember seeing that voters were offered the opportunity to say yay or nay to this project in last year’s national presidential poll – but I suspect not. The same article quotes a Republican senator saying that US spending on ‘defense’ now accounts for 45% of the world’s total. Well, so much for the power of a democratically exercised vote, and the fair spread of the tax burden over those able to pay. What about equality before the law, another foundation stone of a democratic system? A recent study carried out in New Zealand by an academic at Victoria University found that white-collar fraudsters are far less likely to spend time in jail than denizens of society’s lower echelons hauled into court for welfare benefit cheating – in spite of the fact that the sums of money involved are invariably much larger in the former group. Like me, you may be following the case of Jesse Jackson Jr, former Chicago Democrat congressman ‘once talked about as having the potential to become the first black president’, who has admitted charges of channelling campaign funds to his personal use. Apparently Jesse Jr delegated the responsibility for the family tax forms to his wife Sandi, a Chicago City Councillor – who is also facing charges for filing false returns. Let’s see what happens to them, bearing in mind that a blue-collar employee who steals from his or her employer is usually treated harshly by the justice system. And then there is Dominique Strauss-Kahn, former IMF chief with plans to run for President of France. His stellar career was derailed when a hotel maid accused him of sexual assault. Stauss-Kahn’s lawyers were able to discredit the woman and avoid criminal prosecution, but she subsequently brought a civil case against him. The latest news is that the case has been settled out of court for an undisclosed, but presumably large sum. Well, you’d have to wonder why the guy would want to do that if he was, in fact, innocent. You can’t help feeling that Big Abe’s famous words could be modified these days to: Government of the people by a small and privileged elite largely for the benefit of that latter group. Monsieur Dominique, incidentally, would have been standing as a Socialist candidate! Anyway, where does all that leave us? I’m sure you knew or suspected most of the foregoing, even if you may not have known all the fine details. I fondly remember the days when my own name was on the ballot paper in New Zealand, which made casting a vote in national elections so much easier. These days it seems I don’t qualify to exercise democratic voting rights in New Zealand or Turkey, so for the most part, I just sit on the sidelines and offer helpful comments. Still, I do feel that the Western media should assist in getting their own national houses in order before criticising too harshly democracy in Turkey and elsewhere. I come from a beer-drinking country. Well, we’re not as mono-cultural as we once were, thank God. When I was a kid, New Zealand culture could be pretty much summed up by the three words: Rugby, Racing, and Beer. There was an institution known as ‘The 6 O’clock Swill’. This phenomenon owed its existence to the fact that pubs in NZ used to close their doors at 6 pm, or shortly thereafter. Those who had built up a thirst during their working day (mostly men at that period of our history) had one hour to get to the nearest watering hole and quaff as much ale as they could before the law of the land decreed that they should get out and head home to their loving wives and/or families. As you may imagine, this was not conducive to the development of civilised drinking habits – and the effects are still felt, a generation or two on. Of course, other alcoholic beverages were available. The more sophisticated or perhaps feminine might sip sherry, or something euphemistically labelled ‘Pimms’. Continental tastes were provided for by immigrants from Eastern Europe, who produced something distantly akin to red wine, commonly referred to as ‘Dally Plonk’. Unshaven gentlemen of no fixed abode were sometimes to be seen on park benches sampling this brew from bottles concealed in plain brown paper bags. These days, teachers and civil servants nearing retirement age aspire to establishing a boutique winery in Hawkes Bay or Marlborough, or some other location where the micro-climate is conducive and the real estate prices more affordable. New Zealand wines have a well-earned reputation abroad, winning medals at international events, and wine exports are a nice little earner for our humble economy. New Zealanders of a certain class pride themselves, not only on knowing the difference between a Chardonnay and a Sauvignon Blanc, but also on what vintages of which particular vineyards produced the best ones. What I want to say here is, though, this didn’t happen over night. An increasingly wealthy society and an expanding middle class availed themselves of greater opportunities to travel abroad and see for themselves the older oenophile cultures of Europe. Organisations of wine producers brought together like-minded entrepreneurs who exerted persuasive pressure on governments to create a favourable climate for growth, and on the media to help in educating the populace and building a potential market. Another factor has undoubtedly been a hard-line approach by authorities to drivers who drink, such that it is a brave soul who gets behind the steering wheel after even one beer or glass of wine. Two generations, then, have seen radical changes in drinking patterns of New Zealanders (and our Australian cousins, though I have to confess, they were always a little ahead of us). These days, executives and other high-flyers watch rugby matches while sipping quality wines in corporate boxes with their spouses or paramours. Of course, remnants of the old ways live on in footie clubs and suburban beer barns – but as a nation, we have diversified in many fields, and alcohol consumption is one measure of this. So, what about Turkey, you’re asking. Weren’t you going to say something about that? And so I am. The land occupied by the modern Republic of Turkey is one of the birthplaces of human civilisation. Asia Minor and the plains between the two rivers, whose waters rise in south-eastern Turkey, witnessed the first domestication of animals and the growing of crops for food, the moulding and firing of clay to make pots, and the early stages of metallurgy. Hand in hand with the march of civilisation went the production and consumption of alcoholic beverages. It seems likely that the first wild grapes were cultivated here, and the first hesitant steps taken on the road to producing an award-winning pinot noir. The classical civilisations of Greece and Rome enjoyed their wine. They even assigned responsibility for it to a junior member of their divine pantheon – the Romans, Bacchus, and the Greeks, Dionysus. After the Imperial authorities gave up massacring and otherwise persecuting Christians, and Romans and Greeks joined the ranks of the Saved, apparently they didn’t let their new faith stand in the way of imbibing an amphora or two of Bacchus’s nectar. Grape cultivation and wine production in Asia Minor continued in good heart until the Muslim Ottomans took over. The Prophet Muhammed was, I understand, quite specific in his proscription of wine for true believers. 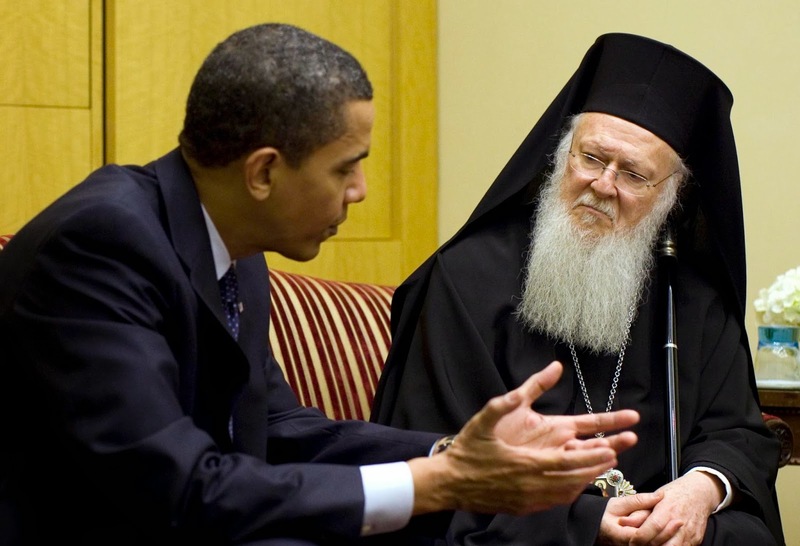 Why didn’t he mention beer, cider, Pimms and other spirituous liquors (if, in fact, he didn’t. My Arabic is not up to checking the original text to see what his exact words were)? Well, one reason very likely is that, in the evolution of alcoholic beverages, distillation arrived relatively late on the scene. Scotch whisky may now be regarded as a traditional tipple North o’ the Border, but most of the great whisky houses in fact date from the 19th century, as by the way, do most of the clan tartans. Anyway, the Prophet’s lack of omniscience on this one left an alcoholic loophole for Turks to slip through. For some at least, obeying the letter of Koranic law and abstaining from wine is enough – and the considerably more powerful rakı, with an alcohol content of 45%, is readily accepted. It also helped that the Ottomans adopted a tolerant approach to religious minorities within their borders. 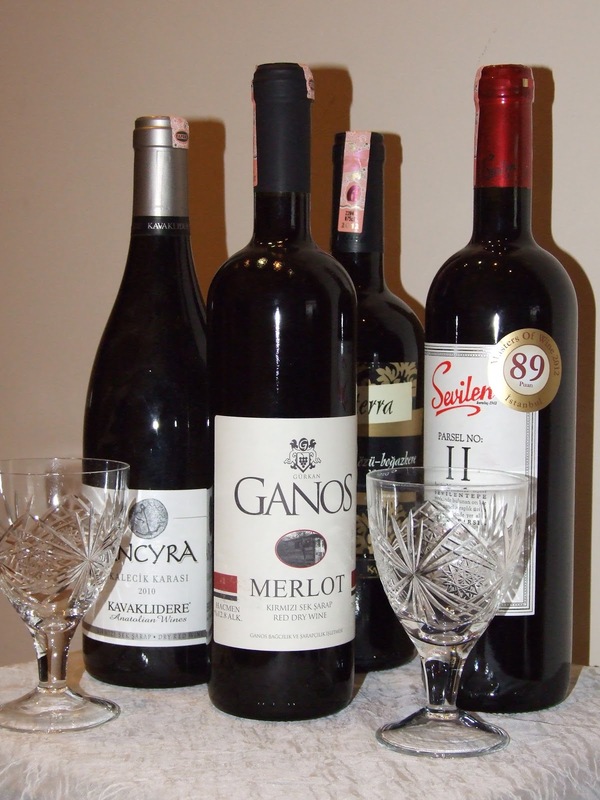 Jews, Orthodox Greeks and Armenians were not only permitted to observe their religious customs, speak their own languages and educate their children relatively unmolested, they were also allowed to grow their grapes, trample the vintage, ferment, bottle, sell and imbibe the fruit of the vine pretty much according to established practice. More than a few Sultans, most of whom anyway were born to Christian mothers, are reputed to have liked a drop from time to time – and no doubt some of their Muslim subjects saw little harm, occasionally, in joining their Brothers-of-the-Book in a glass or two for friendship’s sake. Nevertheless, it must be true that, for a considerable period, at a time when European civilization was making great strides towards modern alcoholic sophistication (and in other fields too for all I know), wine production within the Ottoman domains failed to keep pace with developments in France, Italy, Germany and so on. When the Ottoman Empire breathed its last and the Turkish Republic came into existence in 1923, its first president, among a host of better known reforms, freed up the production and consumption of spirituous and fermented liquors. While tobacco and spirits were under state monopoly, wine, probably in deference to the status quo, was left in the hands of private producers – though the state did also establish its own vineyards and wineries. Tezcan Gürkan, owner of Ganoswineries in Mürefte, began his career with the state Tekel organisation. His vines produce a range of boutique wines, red and white, under the Krater, and the more up-market Ganos label. Tezcan Bey has mixed feelings about the current state of the wine industry in Turkey. He is passionate about its long history, and its potential to compete in world markets, owing to the country’s congenial climate and fertile soils. In terms of human health, he points out, the benefits of moderate wine consumption, especially red wine, in reducing the risk of heart attack, diabetes and even some forms of cancer, have been well publicized. Tezcan Bey further notes that, in the past ten years, during the tenure of the present AK Party government, locally produced wines have improved markedly, both in variety and quality. He is enthusiastic about wines produced from local grape varieties such as boğazkere, öküzgözü and kalecik karası. While accepting that Turkey’s climate is more conducive to the production of red wines, he also mentions the potential of narince and other white varieties in certain microclimates. On the other hand, he is less sanguine about the future, given the punitive level of taxation targeting alcohol in Turkey. I can attest to this from my own experience, having seen the cost of a mid-price red wine at the supermarket checkout almost double in the past five years. Still, it’s not government policy alone that is impeding the industry’s growth. That same bottle of Angora or Villa Doluca, selling for 20 Turkish liras at Migros, will probably add sixty to eighty liras to your bill at a restaurant. The Ministry of Tourism would do well to take a look at the effects of such pricing on visitors to the country. It may be that Turks themselves, weighing up relative value for money, will go for a bottle of rakı with four times the alcohol content – but foreign visitors are more likely to drink one bottle of wine instead of two, and feel scalped into the bargain. Nevertheless, the younger Gürkan generation seems more optimistic. Tezcan Bey’s son, Doruk, recognizes the potential of a growing, and increasingly sophisticated middle class in Turkish cities. One measure of this is the regular appearance these days, of articles in Turkish newspapers and magazines discussing wine, local and imported, and the industry itself. As was the case in my own home country, the twin processes of increasing awareness, and growing demand feed off each other. Still it is evident that the Turkish wine industry is nowhere near to achieving its potential as an export earner for the nation. A recent article in Hürriyet newspaper examined and compared the state of play in a number of comparable countries, in terms of grape vine acreage and wine production. According to their figures, Turkey has the fourth largest area of vines measured by hectares. Only Spain, France and Italy have more grapes under cultivation. In contrast, however, Turkey’s comparative wine production is minuscule, at 75 million litres, ranking it way below even New Zealand, with a fraction of the vine acreage. NZ’s wine exports, incidentally, generated 868 million dollars of income, and clearly Turkey has the potential to surpass that. The big problem, as I see it, and Gürkan ‘pere et fils’ among others, apparently agree, is the lack of a large and knowledgeable local market. Whatever the sector, economies of scale determine whether an enterprise will succeed or fail. New Zealand has been able to develop its wine exports because locals drank enough of the stuff to get the business up and running. 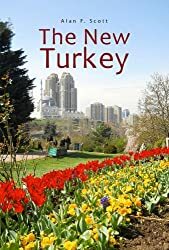 Turkey, with a population approaching eighty million, had a large enough local market to support the establishment of car manufacturing, electronics and whiteware factories, and a large textile industry – which have then been able to move out into more competitive global markets. New Zealand, unfortunately, with its four-and-a-half million people, lacks this major advantage. Clearly what Turkish wine producers need and seem to lack, is an umbrella organisation that will speak for them, arguing the case for government support of the industry, and engaging in general campaigns to raise public awareness. As one who enjoys a glass of wine, and appreciates the local product, I’m following developments in the sector with interest. 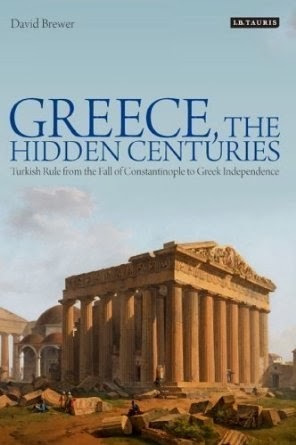 I’m reading a book at the moment: ‘Greece, The Hidden Centuries’, by historian David Brewer. It’s subtitled, ‘Turkish Rule from the Fall of Constantinople to Greek Independence.’ Brewer is a classics scholar with a particular interest in the history of Greece, and this book raises many issues that challenge received wisdom. Perhaps I’ll review the book in another post – but for now I want to focus on the chapter entitled ‘Travellers to Greece’, which deals with visitors from Western Europe during the two hundred years from the late 16th to the late 18th century. Brewer notes that, from the late 17th century, as interest grew in Greek antiquities, the removal to England and France of whatever could be moved became a kind of competition between the two nations. Even at that time there seems to have been some argument about whether collectors were saving the monuments from destruction, or simply looting, and wreaking their own destruction in the process. Possibly the most famous of these uplifted treasures is the collection of marble sculptures from the Parthenon in Athens, sometimes known as the Elgin Marbles, after the English Lord who arranged and financed their removal to London. Brewer ventures his opinion that the controversial statuary should be returned to Greece. No doubt the UK Government, and the curators of the British Museum, where the Parthenon marbles are displayed, will be in no hurry to acquiesce in this matter. An entire new gallery was added to the iconic museum in 1937, solely for the purpose of displaying these priceless relics of ancient Greece. Whatever the rights and wrongs of it, I would like to take this opportunity to commend officials of the University of Pennsylvania Museum of Archaeology and Anthropology, who have decided to make an important gesture in the controversial field of relocating antiquities. It seems that the museum had acquired twenty-four pieces of ancient jewellery back in 1966, at a time when museums generally were rather less fussy about checking the provenance of purchases. Recent study of the items has suggested that they could originate from the city of Troy, now in northwest Turkey. Apparently a deal has been worked out between the American museum and the Turkish Culture and Tourism Ministry, providing for the jewellery to be loaned indefinitely to Turkey. Archeologists from Pennsylvania University have been working on excavations at Troy, and Gordion, some seventy kilometres from the Turkish capital, Ankara, and the institution is planning an exhibition of artefacts from the latter site. The Turkish Government continues to support the archeological work, and will allow the loan of treasures from Gordion for the exhibition. 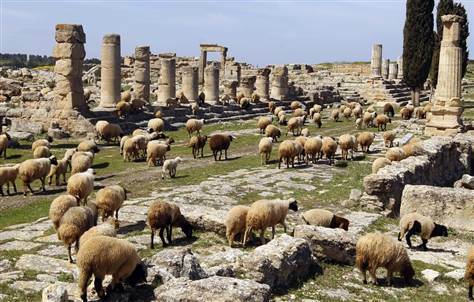 Gordion was the capital of ancient Phrygia, a kingdom at its height during the 9th and 8th centuries BCE. 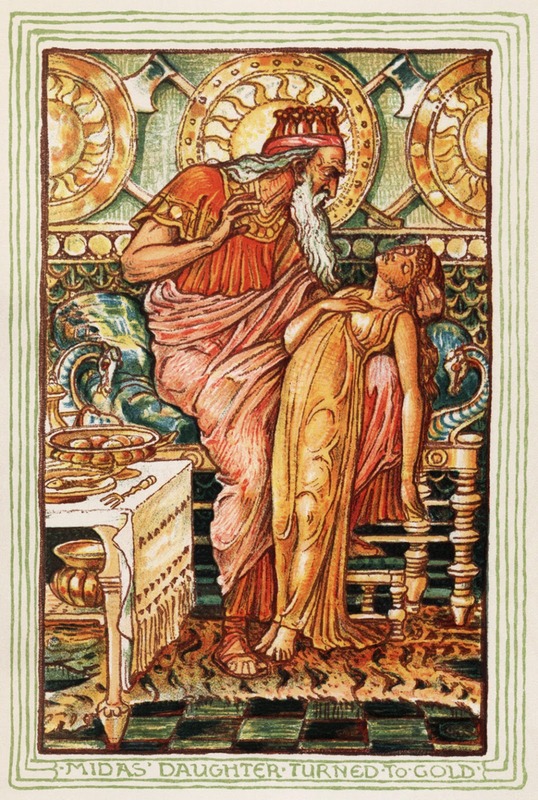 Its wealth became proverbial, and one of its kings, Midas, is remembered for his ill-considered wish to turn everything to gold with the touch of a finger. Excavations at the city have recently unearthed a tomb believed to be that of Midas’s father, so the exhibition should generate considerable interest. Not all attempts to repatriate archeological treasures, unfortunately, meet with such amicable resolution. It is reported that the Italian National Committee for Historical, Cultural and Environmental Heritage have petitioned the French Government for the return of Leonardo da Vinci’s Mona Lisa. Da Vinci was, of course, Italian, and is believed to have painted his best-known work in Florence between 1503 and 1506, so you might think the NCHCEH have a case. Sad to say, such matters are rarely so simple. Some years ago, while on a cycling holiday in France, I found myself in a Val de Loire town called Amboise, where I paid a visit to the main attraction, the Chateau de Clos Lucé. I was fascinated to learn that da Vinci had spent the last three years of his life here, at the invitation of the French King Francis I. International travel was not so easy in those days, and the great artist, at the age of 64, made the journey from Italy, over the Alps, on a donkey, with the Mona Lisa, and a couple of other prized paintings, in his saddle bags. Of course, a royal invitation is hard to turn down, more especially in the 16th century, but still, it’s a big trip for an old guy, huh! One reason the offer seemed particularly attractive was that Leonardo just wasn’t getting the commissions in his homeland that he once had. A couple of younger rivals, Michelangelo and Raphael had apparently sidelined him. So, there it is, in France, the Mona Lisa – where it has been for nigh on five hundred years. It has moved around a bit from one royal palace to another, to safe places in time of war, on loan to the Uffizi Art Gallery in Florence, and even to a thief’s apartment for a couple of years. These days you can see it hanging in the Louvre in Paris – and I have a strong suspicion that the Italians’ chances of getting it back are on a par with the likelihood of the Brits’ handing back the Parthenon marbles.